Similar to my previous post, this time round, i’m putting 4 outfits together for you from my all time favourite Topshop (Tampines 1) for that year end party that you probably have! Leave that comfy t-shirt that you love to death at home girls…. This year end, it’s all about that glitz and glamour! Rompers are the easiest. So fuss free! I love this one here because of it’s super flattering cut and the leopard prints. Goes really well with gold accessories so pile them on. If i have to choose a place to wear this to, i would say it’d be perfect for a date night with your girlfriends or your special one! This is for all those who can’t live without their leather skirts! Party all night in this slightly A-lined skirt paired with a gorgeous metallic blue blouse! Next we have a preppy looking dress! A go-to dress for your crazy parties or just a get together party at home. This pretty number here is so versatile, i think it will go well with either heels (like i did) or with flats and even your worn to death sneakers! And last but not least, flirty meets feminine in a crop top and full skirt! I’ve been kinda addicted to tulle recently and this just screams the perfect white tulle skirt. Pretty sure this outfit here will be a head turner at your dinner date! Hope this gives you a little inspiration on what to wear for that party you have this month end! Lets all end off 2014 with a smaaaaaashing outfit and a bang, shall we? Written by Francesca Tan, fashion blogger at http://francescatan.com. Francesca Tan, 22 years old, is from Singapore. As a full-time blogger/model, she blogs about fashion, lifestyle and shares her personal looks and awesome finds with her readers. Her fashion style is pretty minimal, casual, but usually easy. She loves cut-in blouses and backless dresses the most. Favourite obsession- Denim shorts, which she owes 10 pairs of them! Holla! Today’s post is a little special because i am working with Esprit to put together 4 outfits that i will personally wear to a friend’s house party! The possibilities are endless!!!! From sundress, to mini skirts, to dressy shorts, to a glamorous dinner dress or even to being that tough chick… Let’s get started! You don’t have to wear your sweaters, ribbons, or with your collars popped all the time. Try this plaid shift dress for a change! Throw on your favourite heels and maybe a hat for a bit more of character and you’re off to go! I can imagine you being in this dress, with your hair up in a gorgeous messy bun, your favourite heels (or sandals maybe) with a wine glass in your hand. This is for the girl who is confident in herself and enjoys hanging out. Perfect dress for that party by the pool, or just a casual get-together party with friends i’d say! You would wear this to a crowd with girls all donned in skin tight dresses and cropped tops because you know exactly what looks good on you and you are not afraid to be different. And also because having a coat around is always a good idea. With our cranky weather right now, who knows when is it gonna start pouring? You’re elegant. You like all things fancy pancy. You truly enjoys the finer things in life. If you are a fan of cakes and bread, I’m sure you will be attracted to the mouth watering-range of international spread at Yamazaki Boulangerie Chaude (B1-14)! Yamazaki promises customers freshly baked breads daily, and most of their ingredients and recipes are from Japan! What’s there not to love about them? We visited Yamazaki recently, and gathered the 5 Must-Trys for you! 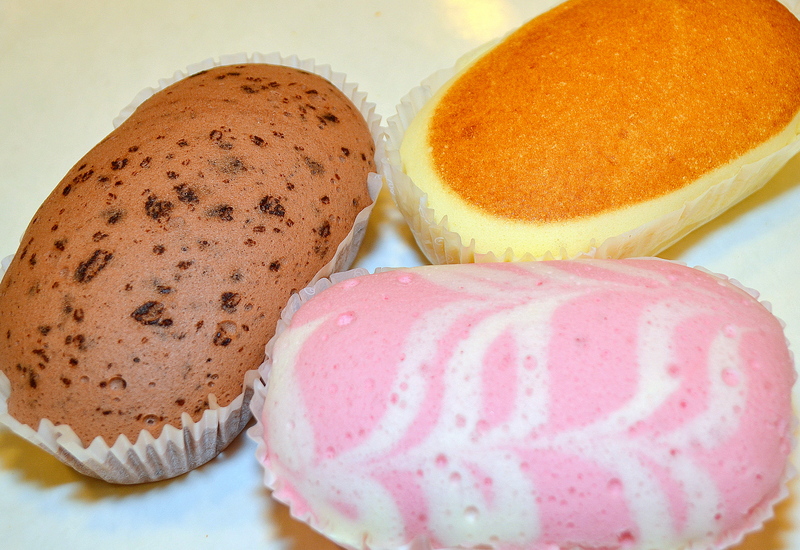 These pretty little mousse cakes caught our attention right at the entrance of Yamazaki! The vibrant colours of the fresh fruits with double layers of smoothly flavoured mousse and soft sponge cake made us drool. The cakes were not too sweet, which was perfect because this means that we can have the whole cake to ourselves without feeling guilty! The sponge cake was a great complement to the creamy mousse, and the freshness of the fruits made us melt. If you are looking for a mood booster, we highly recommend this! This is definitely a sweetheart for all romantic girls (and guys) out there! The pretty puff was dusted with icing sugar, which added a tinge of sweetness to the almost crispy home-made puff. 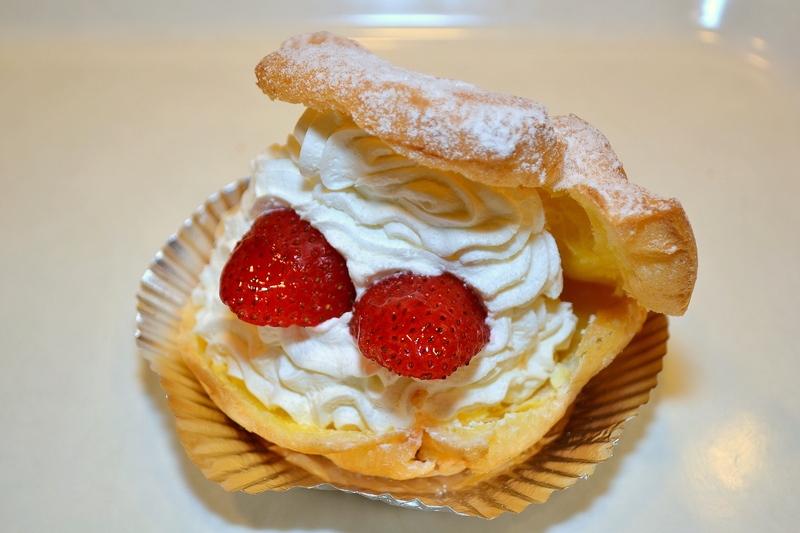 The combination of whipped cream and custard cream blended so well with the sweet-sour fresh strawberries! Woah! Happ1ness you can enjoy for $2! 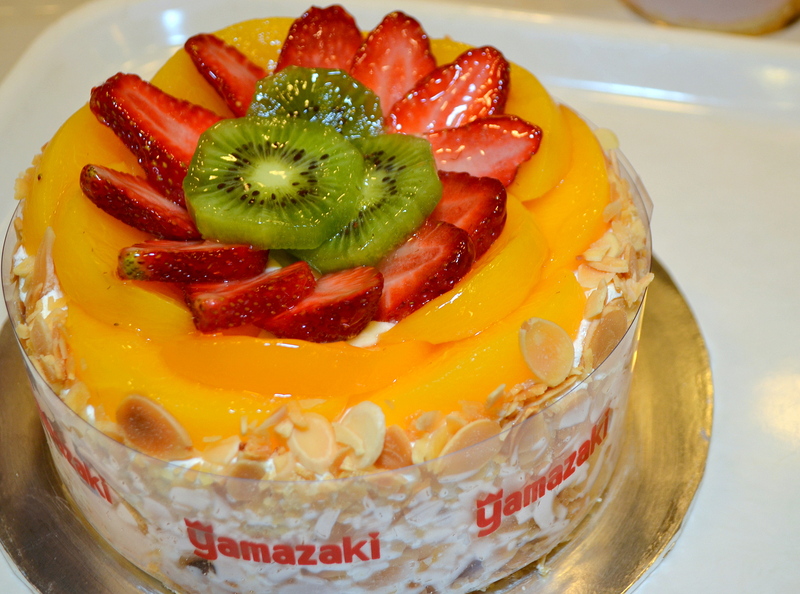 Can’t get enough of the fresh fruit selections at Yamazaki? Then celebrate your loved ones’ birthdays with a cake that shouts “Fruit Galore”! Needless to say, the sweetness of the fruits was the selling point of this cake. The crunchy roasted almonds at the side of the cake offer a great companion to the vanilla sponge cake and fresh cream. Celebrate birthdays with this refreshing fruit cake, and everyone, young and old, will enjoy it to the fullest! Here comes the comfort snack of all time! 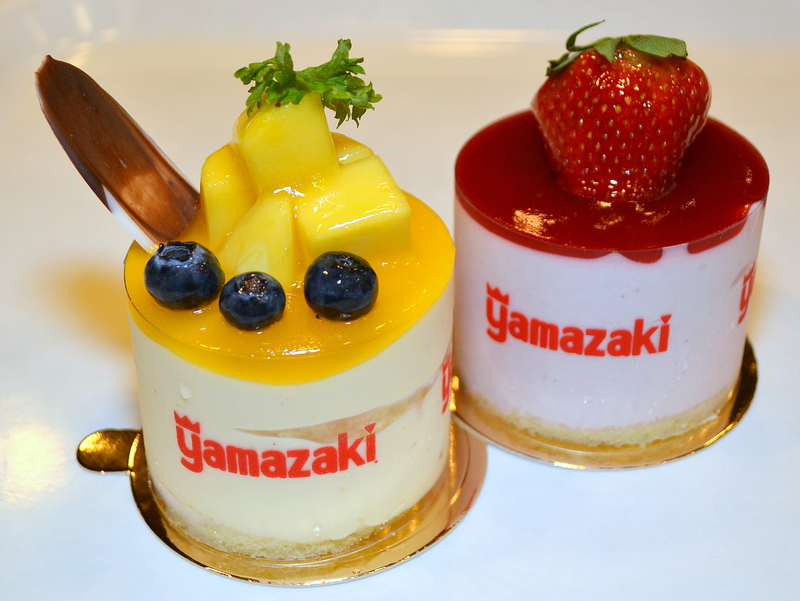 Yamazaki offers 3 flavours for the Japanese soft cake. Our favourite has got to be the Choco soft cake with chocolate shavings! We love that the cake has a tinge of chocolatey taste which was not too over-powering that it conceals the natural fragrance of the soft cake. Sink your teeth into one of these soft cakes today! The chewy glutinous snack has so many flavours to choose from, but these 3 are the most classic and popular ones! 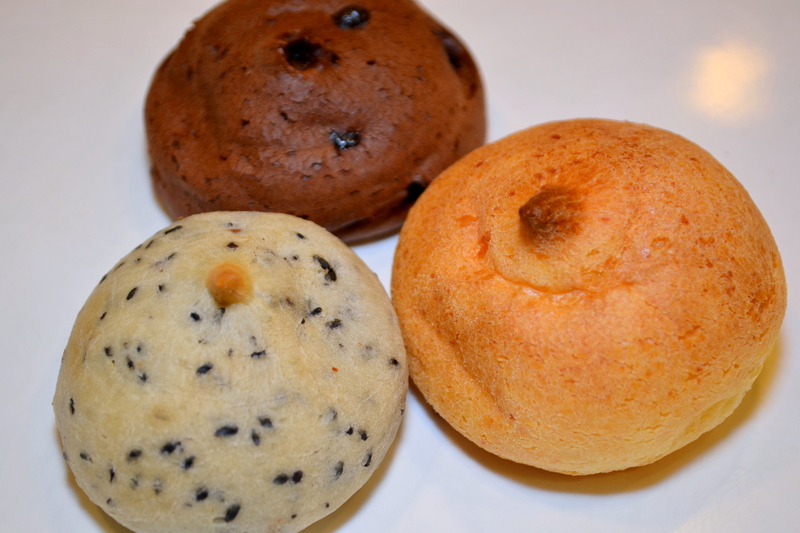 The chocolate chips in the Choco mochi is sweet and addictive, the Sesame mochi is fragrant and with health benefits too, and last but not least, the Cheese mochi has a mild taste of milky goodness! As we write this entry, we are going for a second helping of the yummy cakes and mochi at Yamazaki! If you find it irresistible too, remember to visit them today! It’s that time of the year where dinner parties and events beckon after work, and with the piling Singaporean work schedule, most of us hardly have time to head home to change out into another outfit! In today’s fashion article I’ve styled 4 looks from New Look Tampines 1 that I feel can bring you from day to night. Even if you’re not rushing down from work but you still have to spend the whole day out, here are some of my not-too-casual/ not-too-formal suggestions. Most of the clothes, shoes, and accessories featured are available in Tampines 1’s New Look store, located at #02-25/26. Tired of the plain looking white shirt and/or simple one-tone coloured dress? Try pairing them together like how I’ve done to give your outfit a very preppy classy Zooey Deschanel-inspired look! 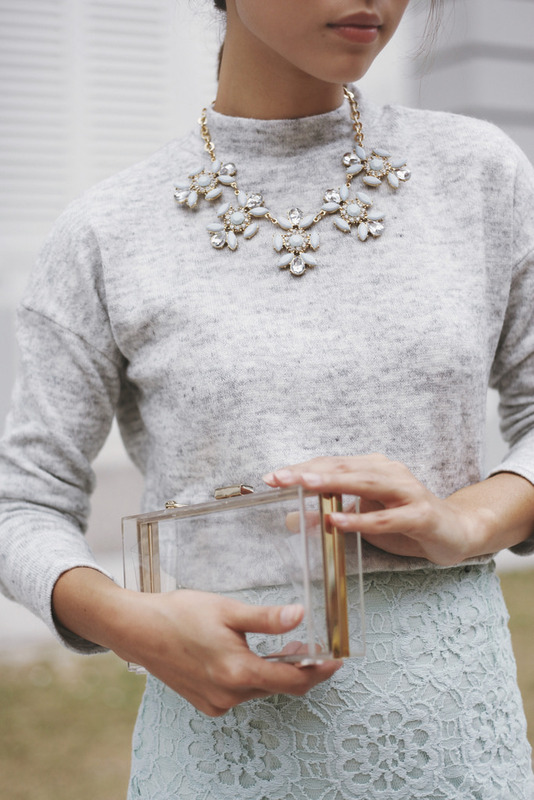 I added a statement necklace to give the outfit a more formal feel. I absolutely love sweater and pencil skirt combinations. Inspired by Parisian street style, I paired the lace pencil skirt with a simple minimalistic top so there won’t too much going on for the outfit. I’ve again, added a matching mint-coloured statement necklace to make the outfit more appropriate for formal occasions. I love how everyday pieces can come together to make an outfit perfect for a night out. Try this pencil dress, leather jacket, heels combination – I’m pretty sure most girls would have these staple items in their wardrobe! This colourblock dress is one of my favourite pieces from New Look, pair it with heels and a leather jacket to give the outfit a complete structured look. I didn’t accessorize the outfit with statement accessories – sometimes less is best! Another one of my favourite looks from New Look, this top with pants look is simple, classy, chic, and fuss-free. The outfit can totally take you from day to night: put on a pair of ballet flats and a leather biker jacket during the day, and during the night, change into your heels, take off the jacket, add a clutch and you’re D&D ready. Looking back, I definitely would have worn this outfit during my own prom days. At the end of the day, keep your outfit fuss-free: You’re out the entire day and you want to carry as little as possible. Try experimenting with a little bit of accessorizing, and outerwear styling, you don’t need much to give your entire outfit a different look! Having been a fashion model for three years since 2009, Andrea felt that she needed to branch out and develop her own fashion identity, instead of having one dictated to her by the labels she was modeling for. Hence, she started a fashion and lifestyle blog. Andrea write about her love for fashion, travel, food, and friends. She is also the host of Clicknetwork.tv’s fashion show “That F Word”. Andrea has appeared in the following notable publications: Nylon (Japan), Harper’s Bazaar (Singapore), Her World (Singapore), The Straits Times (Singapore), Teenage (Singapore), nEBO’s Orange (Singapore), NTU’s HEY! Magazine (Singapore), and the Nanyang Chronicle (Singapore). 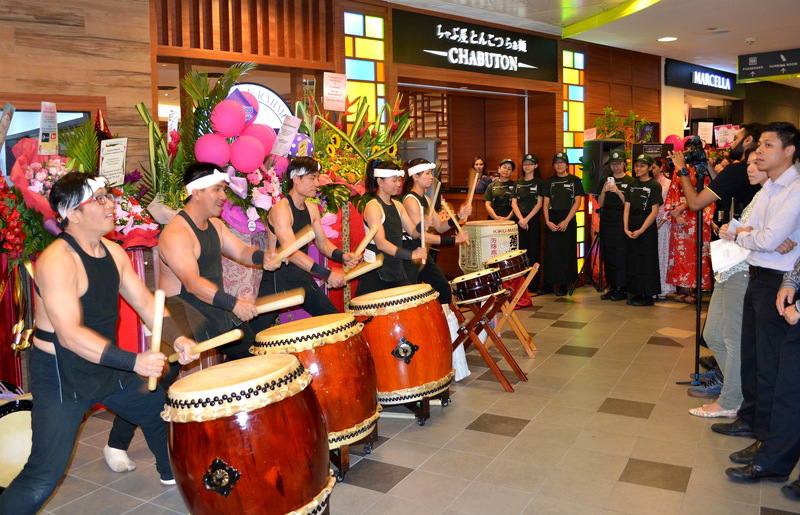 Last week, we witnessed the opening of Chabuton (02-09/10) at Tampines 1! 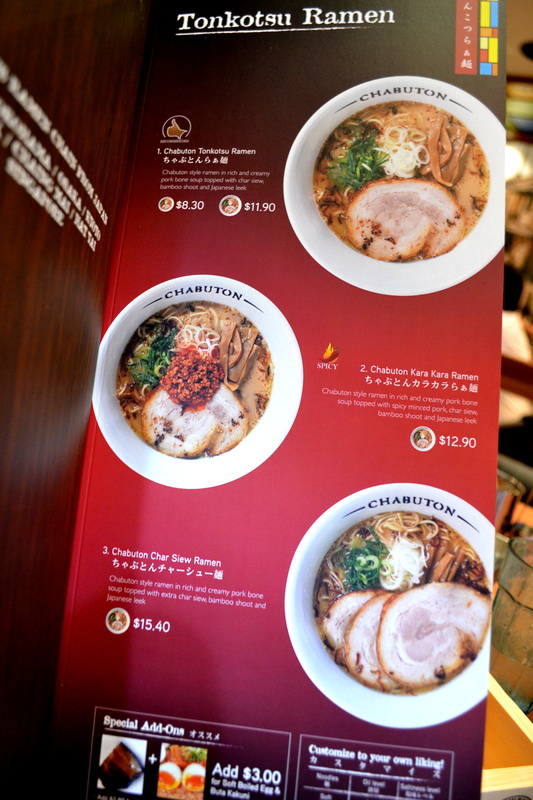 We wouldn’t be surprised if you have long heard of Chabuton and its story, since it’s a popular ramen brand in Japan and Thailand! 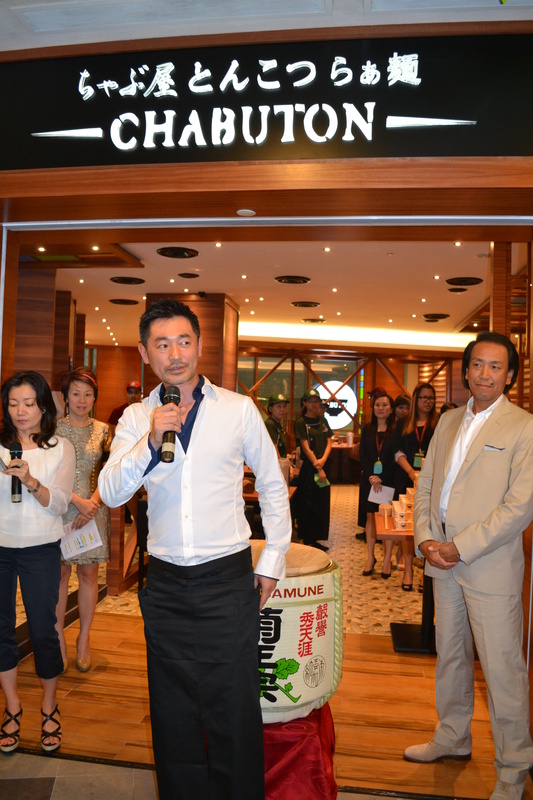 Chabuton by Michelin chef, Yasuji Morizumi, offers award-winning ramen recipes by the TV Champion’s Best Ramen Chef 2002. 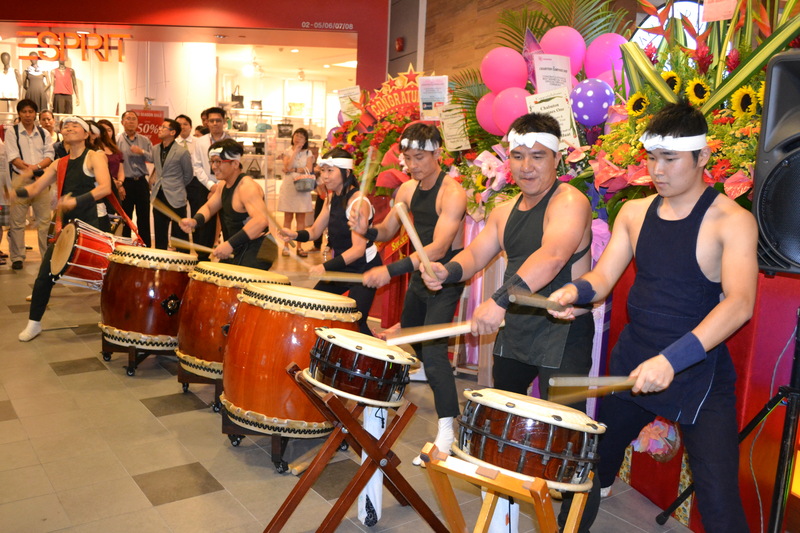 Professional Taiko performers were invited to perform at the Opening Ceremony. Their performance was awesome and definitely spiced up the night! 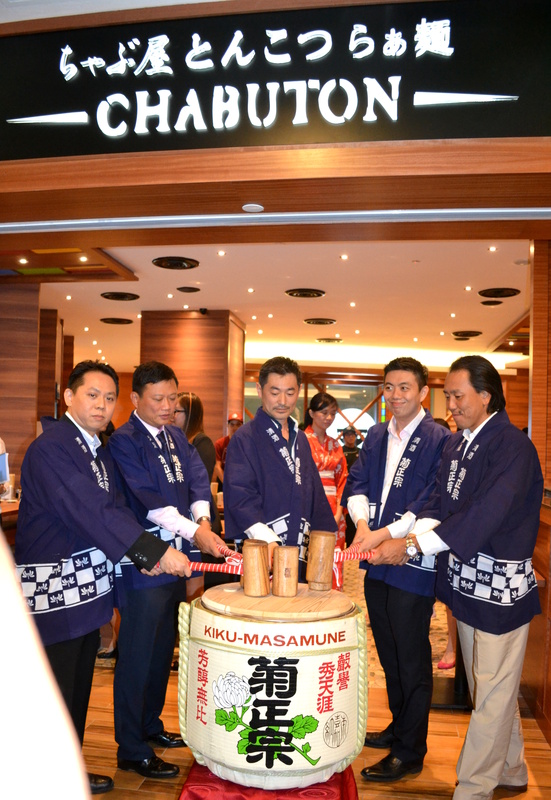 The highlight of the opening ceremony was the Kagami Biraki! Kagami Biraki is a ceremony where the Japanese will break open the wooden casks of Sake with mallets during major occasions like store openings, wedding and other celebrations. In Singapore, we usually call it SAKE OPENING! Signature Ramen What you must try at Chabuton is the signature Chabuton Tonkotsu Ramen (small $8.30/ large: $11.90)! The pork bones went through hours of simmering, making the popular tonkotsu broth rich and creamy. The al-dente ramen was served with a thick slice of Char Siew, Japanese leek and white sesame, which added character to the overall taste. What we love most about Chabuton is the ability to customize our own bowl of ramen. You can choose the texture of your ramen, the oil level and even the saltiness of the broth! For fans of soft boiled eggs and braised pork belly (Buta Kakuni), your cravings can easily be satisfied with a $3 add-on. Of course they have selections for customers who has the appetite for spicy ramen (Chabuton Kara Kara Ramen) and extra pieces of yummy Char Siew (Chabuton Char Siew Ramen)! Side Dishes Top up only $1 for the spicy minced pork (Kara Kara) which adds the additional kick for your meal! For some of us, we can never end off the meal without some yummy crispiness! 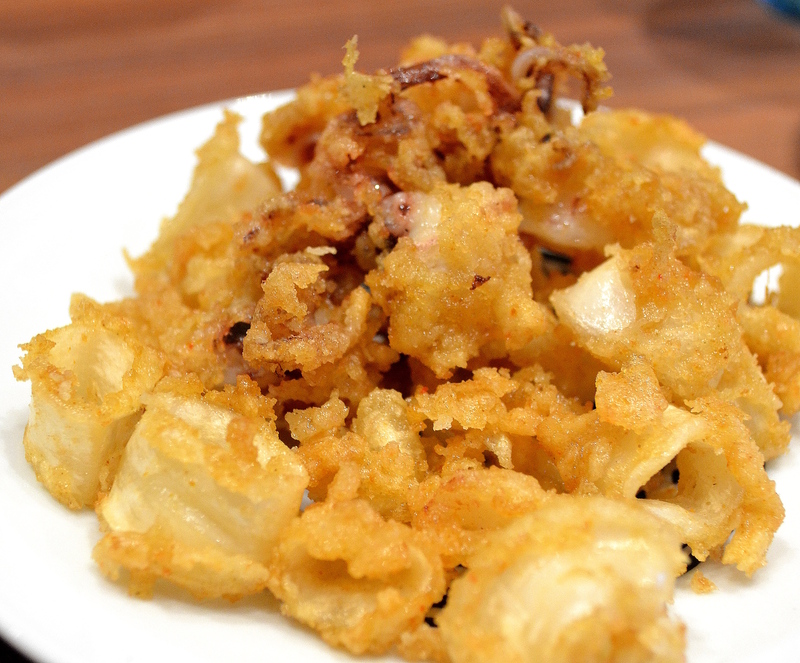 At Chabuton, you may add on these 2 favourites: Ika Karaage ($5), fried squid that is crispy on the outside and whoooo…. oh-so-chewy on the inside! We love the sweetness from the fresh squid, one plate doesn’t seem to be enough! 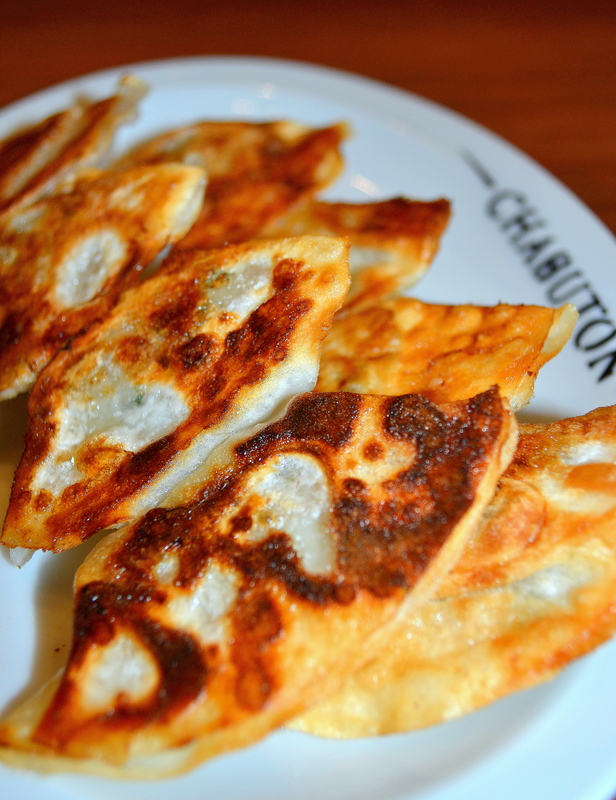 Hitokuchi Gyoza ($5 for 8 pcs), these dumplings is another must-have! The juicy minced pork filling is marinated to perfection, and the combination with the crispy gold brown skin is so addictive! 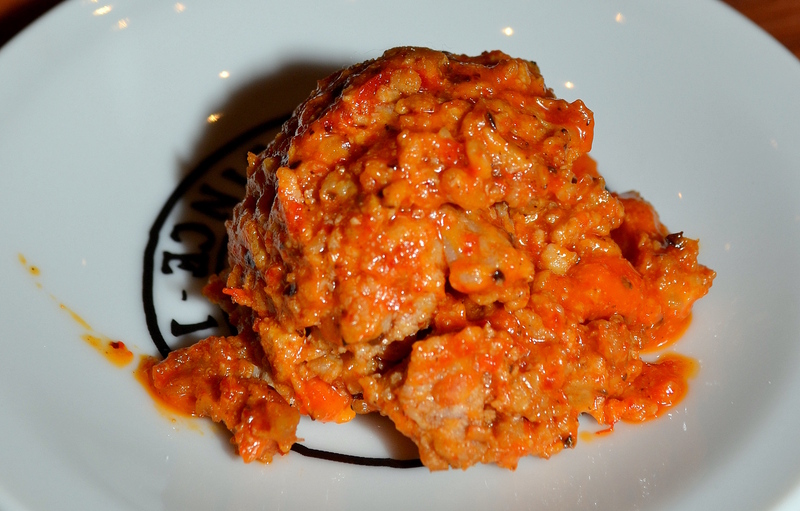 This is a highly recommended dish! The newly opened Gelare (04-K2/K3) is offering 1-for-1 Waffle promotion from now till 30 November, only at Tampines 1! We are so excited over the great deal, so we visited Gelare after our lunch for some sweet treats! 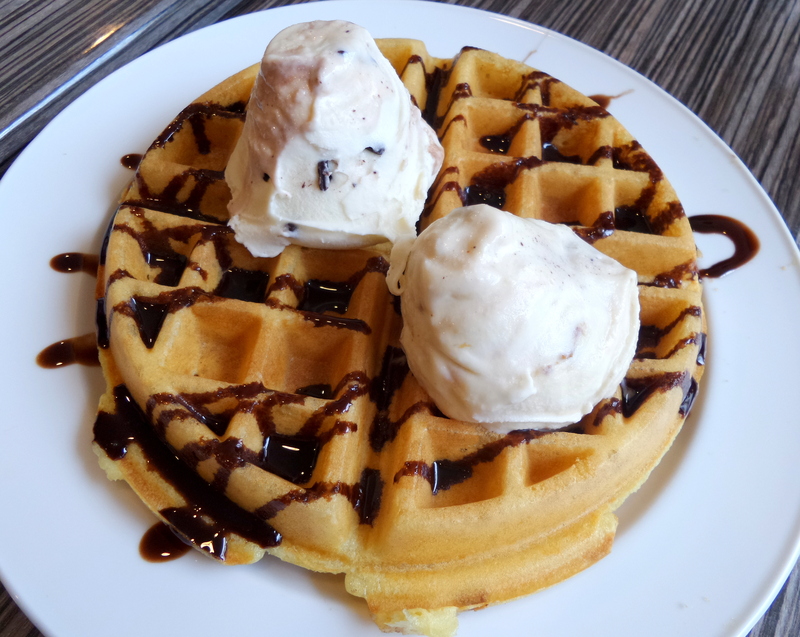 We ordered the classic Waffle with chocolate sauce ($8, 1-for-1) and topped up with Cookies & Cream and Chocolate Overload for our first waffle! The Cookies & Cream ice cream is filled with generous chucks of cookies, and the ice cream is smooth and not too sweet. As the name suggests, the Chocolate Overload has a rich chocolate flavour and it tasted heavenly! For our second waffle, we chose Cookie Dough and Banana. 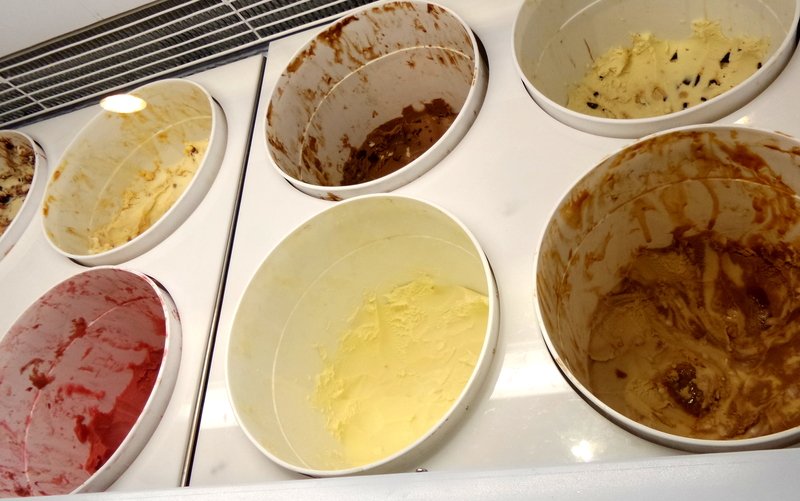 Cookie Dough is filled with chucks of rich choclate chips, and the unique Banana flavour is surprisingly addictive! 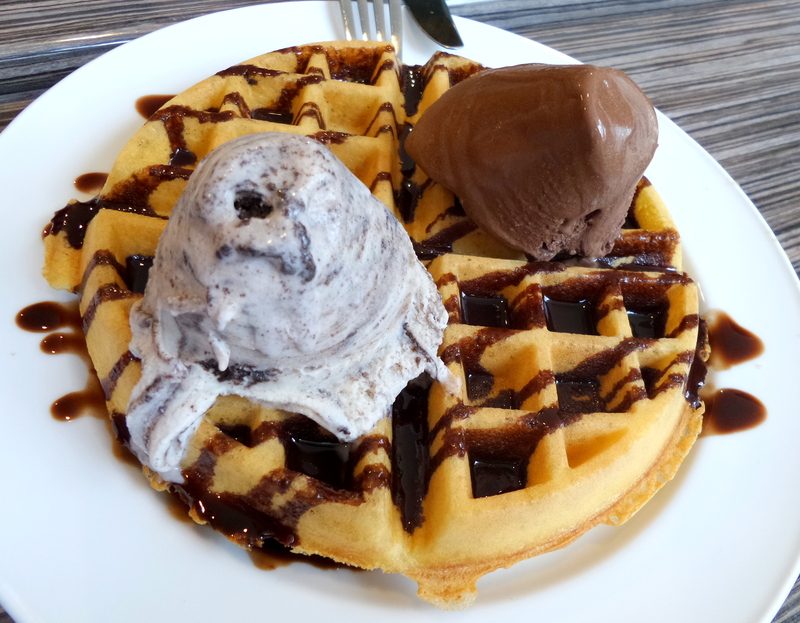 The crispy waffle was a perfect combination with the chocolate sauce and ice cold ice cream. We were enjoying our sweet treats till the very last bite! 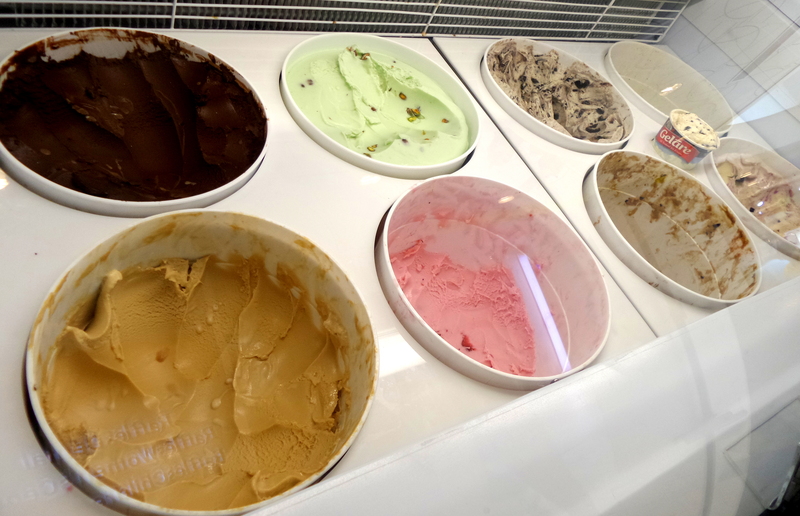 Other than the 4 flavours that we tried, Gelare offers more than 10 selections of unique and conventional ice cream flavours daily. 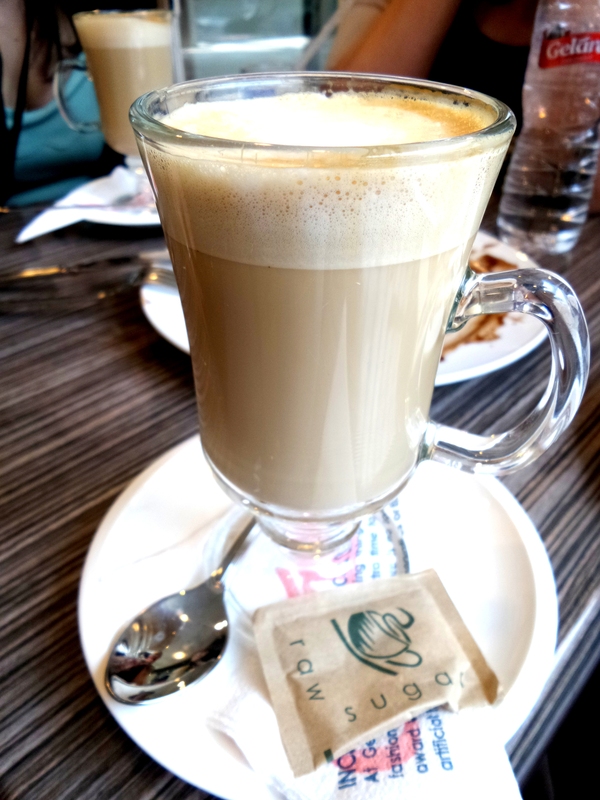 You may end off your sweet journey with a cup of aromatic Latte ($5.20)! Other than coffee, Gelare also serves a wide variety of beverages such as Smoothies, Frappe and Snapple etc. 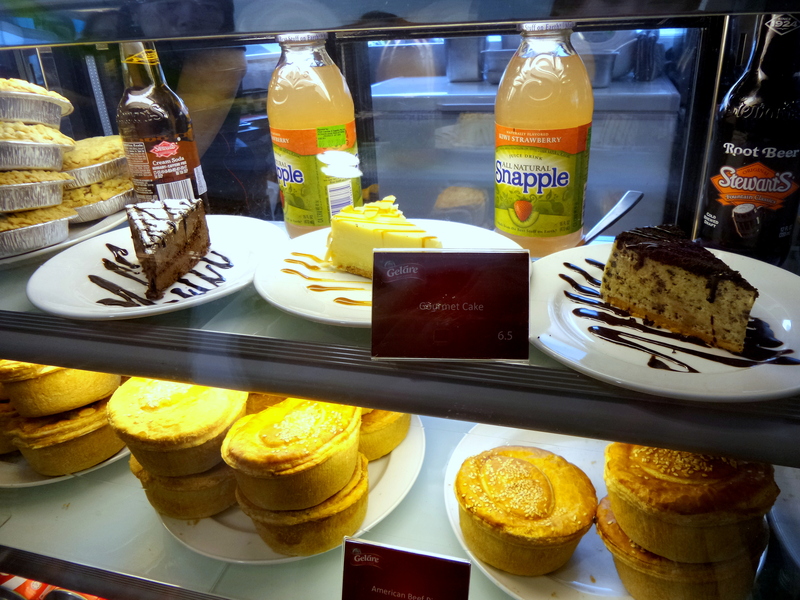 For customers looking for a filling meal, Gelare has cakes and pies to satisfy your hunger too! Gelare is now Halal certified, and their ice cream are vegan! Thanks to the thoughtful peeps at Gelare, everyone can now enjoy yummy desserts and coffee in one cafe! Why wait? 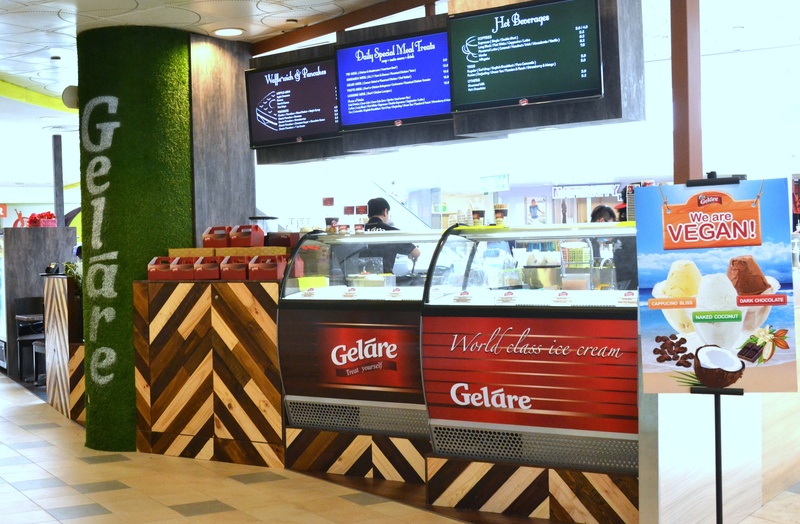 Visit Gelare today and give your sweet tooth a satisfying treat! 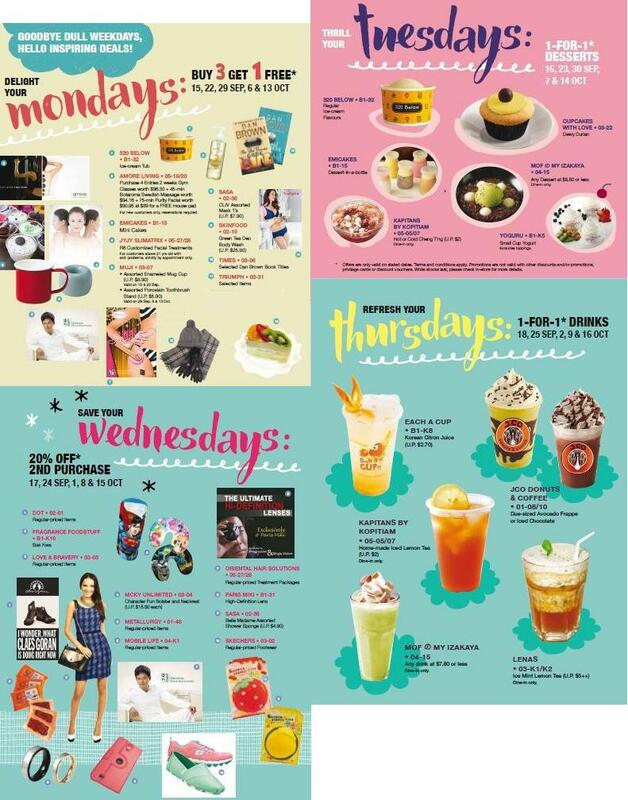 Enjoy Weekdays Perks at Tampines 1! Let our weekday wonders liven up all your days! From 15 Sep onwards, you will be looking forward to weekdays instead of dreading it because of the perks we are presenting you with! Get rewarded when you shop! Max. 2 same-day receipts, double spending for Cold Storage receipts. Limited to 1 redemption per shopper per day, on the same day of purchase, while stocks lasts. Weekday Perks From Monday to Thursday! As promised, we’ll be offering you great deals everyday! More details of weekday deals can be found here. 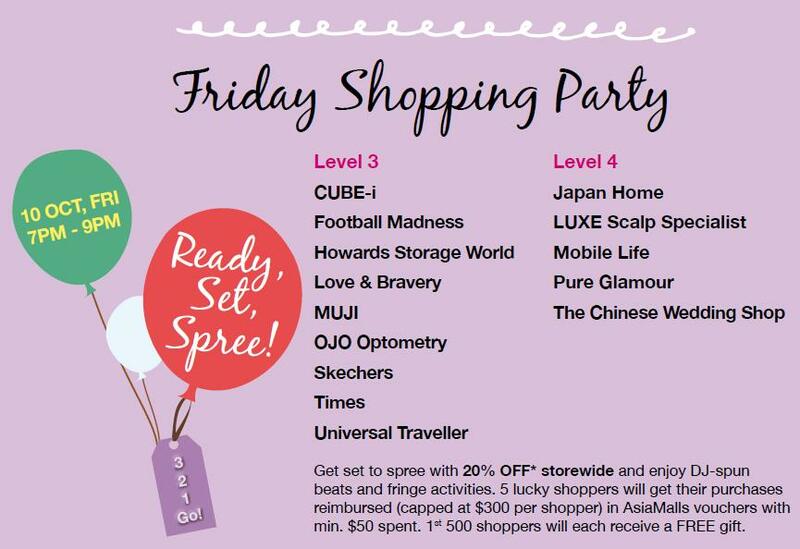 Who’s up for another Friday Shopping Party? Party is coming back this October with lifestyle brands offering 20% off storewide to fulfill your desire for a satisfying retail therapy! Other than enjoying great music and discounts, you must also stay on after 9pm for the lucky draw! You might be one of our 5 lucky winners to get reimbursed (up to $300) for your shopping spree! If you are an avid fan of Instagram, and your passion is to share your love for food via Instavideo, here’s your chance to walk away with $100 AsiaMalls vouchers for more food hunting and shopping spree! 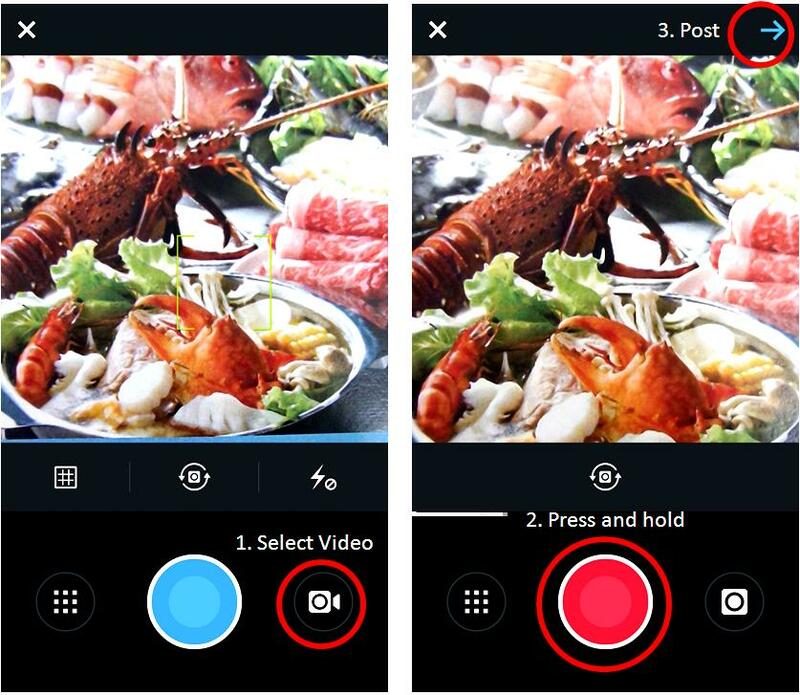 Here’s a simple tutorial to kick start your Instavideo journey! 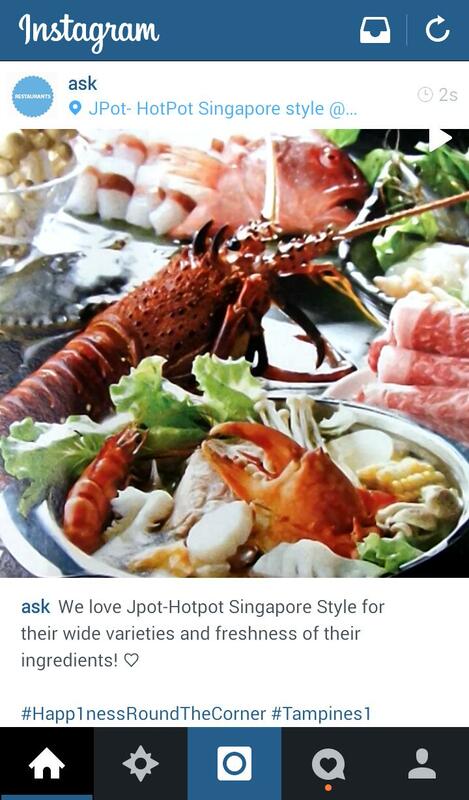 Remember to include the name of the F&B outlet, why you enjoy dining there, and hashtag “#HAPP1NessRoundTheCorner” . With so many great discounts and offers, what other reasons do you need to feel excited on weekdays?